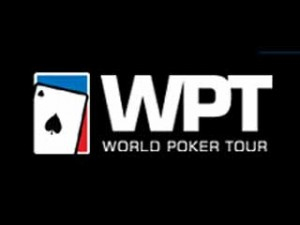 The World Poker Tour National (WPTN) will land in Morocco soon. Not only are poker fans given a great opportunity to enjoy a one-of-a-kind holiday vacation in Marrakesh but also they can part take in the festival to be held from September 26 to October 4, 2015. As mentioned in this freshly-unveiled schedule, there is everything that matches everyone's taste and budget. Actually, the menu features a series of poker tournaments with attractive structures. The highlight of the festival remains the single-entry  1,200 buy-in Main Event. The 2015 WPTN Marrakesh Main Event will be played from October 1 to 4; it guarantees a whopping  300,000 prize pool for ITM-place finishers. Kicking off the festival is a  275 buy-in event, along with a  500 buy-in warm-up on September 29. As a warm-up battle, participants will enter the game with a starting stack of 30,000 chips for 30-minute blind levels in the  500 event. It is still worth noting that the  500 buy-in Monster Stack and the  400 buy-in "Carte Blanche" are part of the flagship events in the 2015 WPTN Marrakesh schedule. To close out the festival, there are three enticing on the menu, namely the  200 buy-in WPTN Turbo, a  135 buy-in NLHE Turbo and a  135 buy-in Irish Poker, all to be held on October 4. As usual, Marrakesh's top-ranked gaming facility, Es Saadi, is playing host to the series. Needless to say, the room is most known for being a host for multiple international poker events.